By now, social networking websites like Friendster, Myspace, Twitter, and Facebook have become an accepted and celebrated forum for discourse, not only in the lives of young people, but in the lives of older generations as well. While this article will specifically address issues of privacy on the social networking site Facebook, it is important to first quickly consider why the site has become such a phenomenon. Just why is Facebook so popular in the lives of so many? The answer, of course is manifold. Joining social networking sites is tempting for a variety of reasons. First, admission is free, and second, the club is open to anyone with computer and internet access. There are no admission limitations based on class, profession, gender or sexual orientation that prevent admittance and acceptance; though certainly there are online communities created specifically for minority groups, for example, chat rooms for gay, lesbian, and transgender people or threaded discussion boards perhaps geared specifically for working mothers. Also, most networking sites host a plethora of special interest groups. Besides the diversity present on networking sites, another factor for the rising popularity of Facebook and others could be based on biology. Simply put, human beings are social creatures that crave interaction with one another. And whether real or imagined, Facebook provides its users with at least the illusion of making new friends, engaging in discourse, and maintaining relationships. Perhaps postmodern humans flock to these sites simply to fill a void, the nothingness that Nietzsche described; and these networking websites create something, some type of discourse, to fill an emptiness in the human existence. Ironically, Facebook is full of trivial online versions of real-life activities that are a dull copy of the real thing. Some examples of these applications are the “Pass the Drink" function, which allows users to send friends virtual margaritas and beers. People can also adopt a virtual child, start an undersea garden, or send a friend a muppet, stuffed animal, or other virtual gift. This may be fun, but what about meeting in local pub for a drink or starting a real garden? With the disappearance of neighborly discourse and the decay of the typical sense of community, Facebook provides its members with a sense of communal conversation that has long been forgotten. Humans are no longer telling tales by the fireside or trading gossip at the quilting bee; instead, strangers trade profile pictures and take quizzes on Facebook to get to know one another, and as artificial as this community may be, it is filling the void. Folks might not know their next door neighbor’s name or profession, but they have a great friend across the globe in Glasgow, Scotland, that they chat online with every day to discuss their mutual love of the band Mogwai. Anthropologically speaking, according to a February 2009 report in The Economist, “Primatologists call at least some of the things that happen on social networks 'grooming.' In the wild, grooming is time-consuming and here computerization certainly helps." The report goes on to explain that “people who are members of online social networks are not so much “networking" as they are “broadcasting their lives to an outer tier of acquaintances," and though users “may be advertising themselves more efficiently," “they still have the same small circles of intimacy as ever." Because of these anthropological factors as well as the accessibility and ease of use, Facebook has become a forum for discourse of epic proportions. 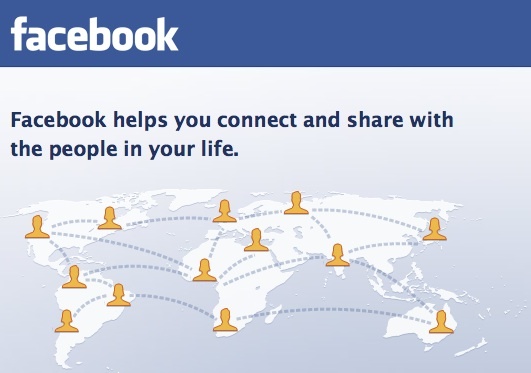 According to the website Inside Facebook, as of February 2008, Facebook has hit the 175 million active user mark. Site promoters state, “If Facebook were a country, it would now be the 6th most populous in the world." Not only a populous country, but as stated earlier, an accepting and diverse one as well. All of these attributes should then, legitimize the value of the website, and indeed, the value of this site cannot be ignored. Because of the loss of neighborly communication with those within their geographical location, many users enjoy the inane chatter of long-absent friends, updates on acquaintances’ social lives…the typical stuff of which Facebook is constructed. The idea of Facebook is simple, making it accessible to both internet native and immigrant. Users are free to post whatever they want in order to express themselves including photos and personal information like phone numbers, and even home addresses. Many users now have access to cellular phones with video camera applications, which makes the sharing of personal information even more expedient. While all of this seems relatively harmless enough, the compromising of personal information is what troubles me about FB and other networking sites. If users closely scrutinize the website’s inner workings, it becomes apparent that the site promotes a sort of voyeurism and that the information stored on the site can certainly have negative and lasting consequences. While users and virtually anyone online can connect with old and new friends via Facebook, they can also look at the profiles of people that they do not know, since even though there are privacy settings on Facebook, most people do not necessarily set them. If a user does not set privacy settings on Facebook, anyone can see the profile and information. Certainly the savvy user will control the information and privacy settings on their account, but a vast majority of users broadcast an amazing amount of personal information to the world. The trap of visibility in the Facebook community is double fold. First, as addressed by Facebook itself, items posted online like incriminating photos or videos can have a shelf life that lives long after an initial posting, even long after an initial posting is removed. Secondly, it is not just your friends that can view your profile information. Carly Brandenburg writes in the Federal Communications Law Journal that "users of Facebook may harbor the incorrect belief that other students and intended viewers are the only people able to view their profiles" when, in fact, that is incorrect; if the privacy settings are not adjusted, anyone can view a profile, and because of that, writes Brandenburg, “Students and graduates today are getting more than they bargain for as they attempt to enter the workforce and realize their blogging and social networking ways can come back to bite them." While posting pictures of campus keg parties, sexual exploits, and other illicit material might be acceptable while youths are in college, it is not when they start searching for a job. Unfortunately, by this time, it may be too late to effectively delete embarrassing or detrimental posts from Facebook. Brandenburg explains, “According to a National Association of Colleges and Employers (NACE) study, approximately one in ten employers report they plan to review potential hires' profiles and information posted on social networks." Of the employers that admit to checking a person’s profile, according to Brandenburg, most say that the profile information will, in fact, influence their hiring decisions. Additionally, if a Facebook user does employ the privacy settings, employers can still use covert methods to gain access to Facebook profiles. According to Brandenburg, “some companies also hire current students who can access their peers' social networking profiles and effectively circumvent any privacy settings a potential hire may have put in place to attempt to restrict unwanted persons from accessing their profile." What this means is that companies will hire, for example, a University of Michigan alumni or student to spy on other people in the UM community, since privacy settings typically allow people from a user’s school to view their profile. Besides preventing users from acquiring new employment, Facebook profiles have also led others to lose their existing jobs. According to a feature in Maclean’s magazine, one college student lost a job bartending because a wall-to-wall conversation with another coworker that jokingly accused a third co-worker’s boyfriend of stealing alcohol from the job. The lesson this fired bartender learned, states writer Erin Millar: “"I didn't think anything of it. But apparently the manager checks it quite a bit, and reads a lot of conversations." Apparently Big Brother is watching, and not just in the guise of employers. Per a report in the American Journalism Review, members of law enforcement and even journalists now commonly use Facebook as a source to gather information. Journalist Jason Spencer asks, “if employers and police can use the sites to help do their jobs, why can’t reporters?" While some reporters use Facebook to gather background information, writes Spencer, others use it as a resource to learn about gang activity, including if crimes, such as shootings, can be attributed to certain gangs. While there seems to be a marked disconnect between how users interpret the privacy of their profile online and who really sees it, journalists are quick to capitalize on this ethically questionable situation. In the AMJ, Derek Willis, database editor for washingtonpost.com is quoted as stating: "One of the things that social networking sites have brought is an understanding or acceptance, especially among younger folks, that they don't mind having this level of scrutiny." Can we really be so sure that young people don’t mid the scrutiny, and shouldn’t people of all ages be more concerned about the breach in privacy? On Facebook, visibility is now more than a trap; it is also a marketing ploy. As tech writer Juan Carlos Perez writes, Facebook added a new application called Beacon, which according to Perez, “tracks certain user actions on some partner sites, such as Blockbuster and Fandango, and reports those actions back to the user’s Facebook friends." According to Perez, while Facebook considers these “social ads" as relatively harmless, “critics charged that the program was difficult to understand and opt out of." In fact, reports Perez, one Facebook member said one of his online friends found out he had bought an engagement ring before he even proposed! Again, I am not here to discount the positive attributes of Facebook. After all, it is sort of fun to find out whatever happened to that long-lost love or find out that high school bully is now an adult loser. But what I am cautioning is that users need to be more aware of what the privacy ramifications of the site truly are. Who has the power on Facebook? As certain as we are that advertisers, employers, journalists, and law enforcement officials are scouring the site for detailed information about our personal lives, is it far fetched to consider that indeed, Big Brother, or our government, is already watching us as well? And finally, what is more disturbing; knowing that someone is watching…or knowing that those online are so eager to give away their personal information of their own accord without knowing or considering the consequences?